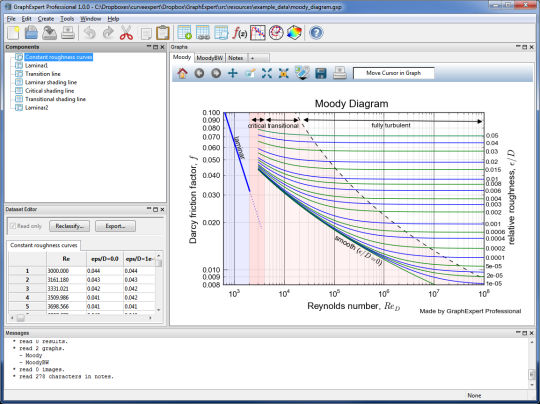 CurveExpert Professional is a cross-platform solution for curve fitting and data analysis. 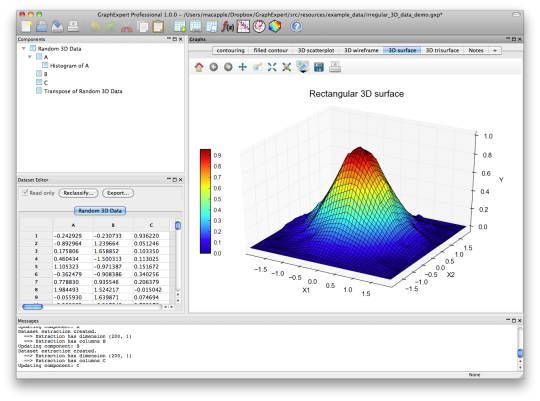 Data can be modeled using a toolbox of linear regression models, nonlinear regression models, smoothing methods, or various kinds of splines. 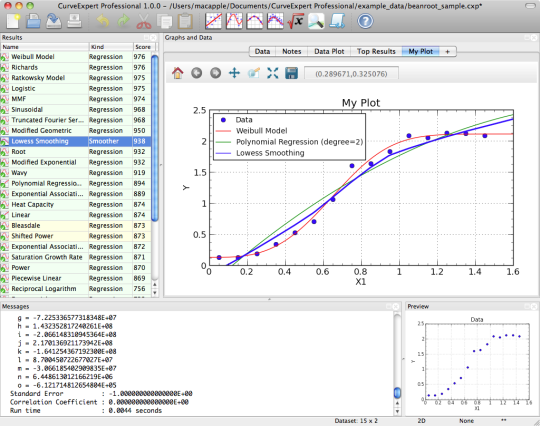 Over 60 models are built-in, but custom regression models may also be defined by the user. 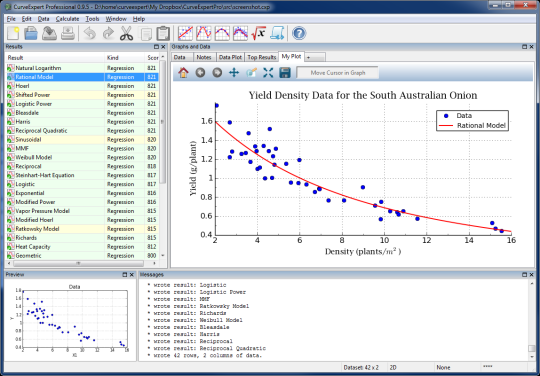 Full-featured publication-quality graphing capability allows thorough examination of the curve fit. The process of finding the best fit can be automated by letting CurveExpert compare your data to each model to choose the best curve. 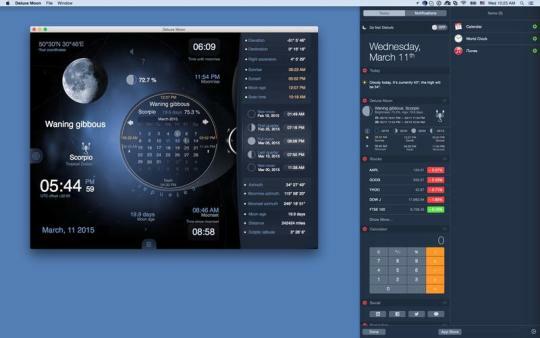 The software is designed with the purpose of generating high quality results and output while saving your time in the process. NEW: large file/dataset support. Reading of large data files now takes a fraction of the time required previously, and multiple efficiency problems fixed in the dataset viewer and graphing components such that working with large datasets (1M rows and larger) is tractable. NEW: added the ability to delete any or all curves on a graph that a right click occurred over. CHANGED: better column header detection during file read; there is now a look-back from the start of the data to detect the column headers, so they need not be one line above the data. CHANGED: when multiple files are dragged to the dataset control, they are now sorted by name before importing/hotlinking. RESOLVED: NaN's generated in the logarithmic functions were not handled properly, leading to incorrect program behavior and possible hangs. Fixed. RESOLVED: some older cxp files failed to read in properly, leading to difficulty when performing subsequent curve fits. Fixed. 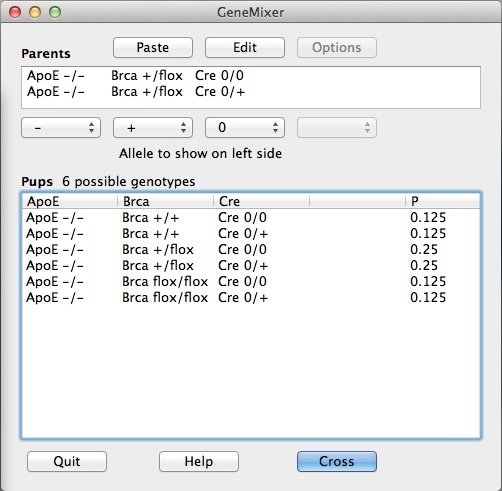 RESOLVED: multiple graphing problems under OSX, caused by a faulty build, have been addressed.